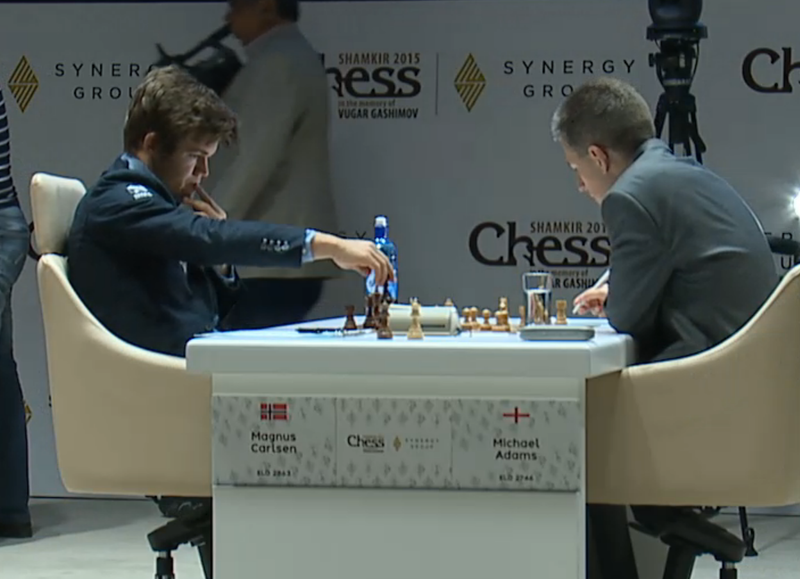 Magnus Carlsen is the winner of the 2nd Gashimov Memorial - Shamkir Chess 2015 with 7/9 points. Congratulations! In the free day during the 2nd Gashimov Memorial Shamkir Chess 2015, lets see a selection of games which demonstrate the exquisite style of Vugar Gashimov, for which he was considered to be one of the most talented chess players of recent times. 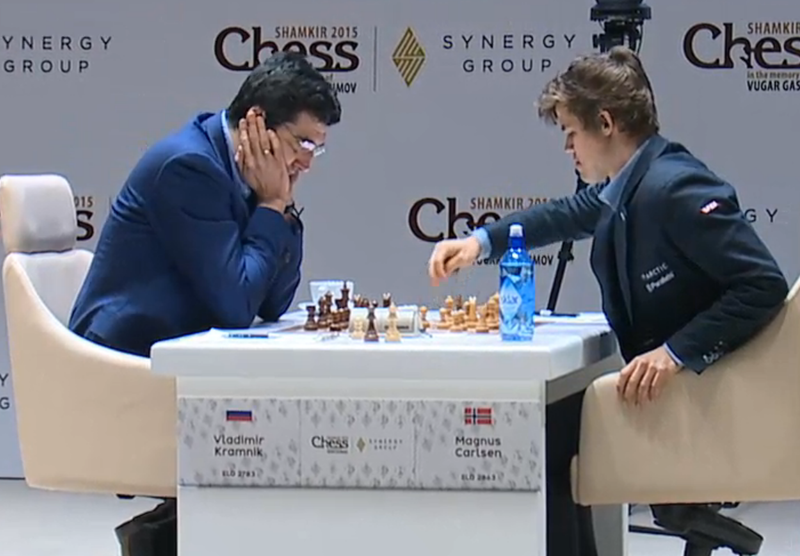 Selection made by GM Alexander Delchev. The Opening Ceremony of Vugar Gashimov Memorial - Shamkir Chess 2015 was held today, April 16 at 18.30. Preparation works of Shamkir Chess 2015 super tournament in memory of Vugar Gashimov, which is organized with sponsorship of Synergy Group in between of April 16-26, have already been completed. The world leading grandmasters, present world champion Magnus Carlsen, former world champions Viswanathan Anand and Vladimir Kramnik, as well as, Fabiano Caruana, Anish Giri, Wesley So, Maxime Vachier-Lagrave, Michael Adams, Shakhriyar Mamedyarov and Rauf Mammadov will compete in this prominent tournament. The event is taking place at the Heydar Aliyev Center in Shamkir. 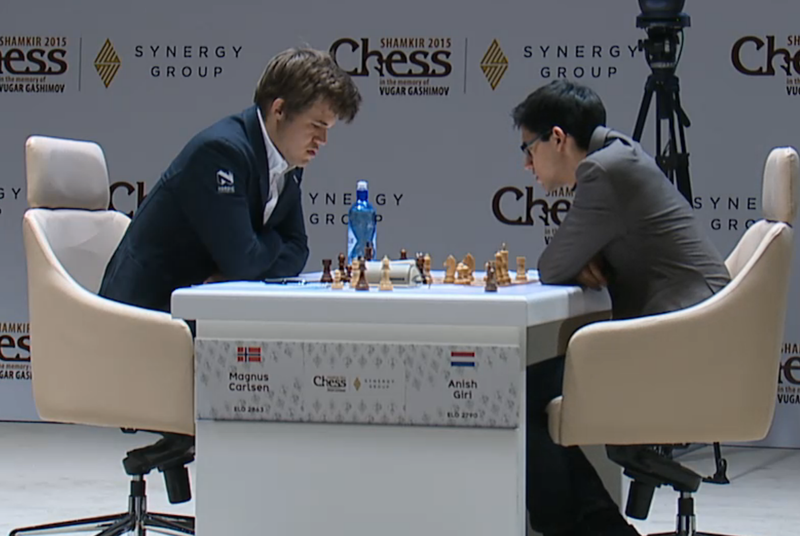 The tournament will be broadcast live on www.shamkirchess.az or visitors will be able to watch the games at the Center. All games will be commented in Azerbaijani, Russian and English languages. "Synergy Group" always takes professional and consistent steps forward for a sustainable future and contributes to the development of the society. GM Hikaru Nakamura and GM Irina Krush both sealed the deal in Sunday's final round of the U.S. Chess Championships, enshrining their names as 2015's king and queen of American chess. With a half-point lead over GM Ray Robson entering Sunday, Nakamura silenced his last threat to the U.S. title by dropping 2006 champion GM Alexander Onischuk in a deceptively tricky endgame. Meanwhile, in the Women's Championship, Krush pushed a draw against WGM Katerina Nemcova to capture an outstanding seventh title -- and fourth consecutive. The 17th Dubai Open Chess Tournament will run from April 5-15 at the Dubai Chess and Culture Club. Ibrahim Al Bannai, Chairman of Dubai Chess and Culture Club and head of the organising committee, announced during a press conference held today (31 March 2015) at the club that players from at least 43 countries will be competing for the prestigious Sheikh Rashid Bin Hamdan Al Maktoum Cup. The first round of the nine-round Swiss system tournament will be played on April 6 at 6pm. The final round will be played on April 14, with the awarding ceremony on April 15. The club is also organising a blitz chess event for all players on the tournament’s rest day on April 10. Over 90 Masters confirmed their participation. Belarusian Grandmaster (GM) Sergei Zhigalko is so far the highest-rated player among the confirmed participants with a rating of 2681, while Ukrainian GM Yuri Kuzubov is the second seed with a rating of 2667. The confirmed participants have so far reached 185 players, including 56 GMs, 20 international masters (IMs) and 14 woman grandmasters (WGMs), along with several highly rated players from Romania, Russia, France, Georgia, Armenia, Kazakhstan, Germany, the United States, England, Ukraine and Croatia. India accounts for the biggest foreign delegation with 36 players, followed by Azerbaijan, Russia and Armenia. Indian Women Grand Master Karavade Eesha is the highest rated among women participants with a rating of 2398. Around 20 top-rated women from countries such as Greece, Azerbaijan, Russia, Turkey, Ukraine, Jordan and Egypt, which is represented by WGM Mona Khaled, have already registered. The UAE contingent is led by Woman International Master Noman Ali Al, the Arab Under-20 champion, Women International Master Kholoud Al-Zarooni and Bashaer Khalil, a bronze medallist at the Arab Under-16 championship. Congratulations to Ian Nepomniachtchi for winning both the Classic and the Blitz tournament at Aeroflot Chess Open! Watch game 3 of the final between Natalia Pogonina (0.5 points) and Mariya Muzychuk (1.5 points) today with live commentary by GM Alexander Delchev! Watch game 2 of the final between Natalia Pogonina and Mariya Muzychuk today with live commentary by GM Alexander Delchev! The final will be played in 4 games (2-5 April) and tie-breaks (6 April) if necessary.